It’s not quite Christmas time yet, but most businesses will be in the process of thinking ahead to the yuletide festivities, if not already into well-advanced planning. One of the perennial questions is if and how fringe benefits tax applies to these activities. There is no separate fringe benefits tax (FBT) category for Christmas parties and you may encounter many different circumstances when providing these events to your staff. Fringe benefits provided by you, an associate, or under an arrangement with a third party to any current employees, past and future employees and their associates (spouses and children), may attract FBT. While such social functions may result in FBT, income tax and GST outcomes, these are covered under the existing relevant legislation. The provision of “entertainment” at Christmas therefore mirrors the tax treatment such benefits will receive at other times of the year. 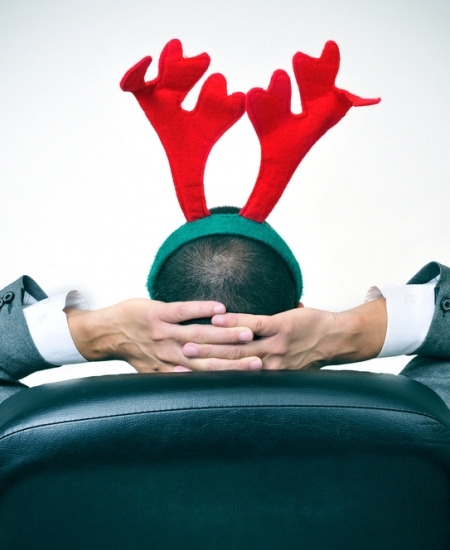 The cost of providing a Christmas party is income tax deductible only to the extent that it is subject to FBT. Therefore, any costs that are exempt from FBT — that is, exempt minor benefits and exempt property benefits (more below) — cannot be claimed as an income tax deduction. Note that the costs of entertaining clients are not subject to FBT and are not income tax deductible. There is what is known as a property benefit exemption where the costs (such as food and drink) associated with Christmas parties are exempt from FBT if they are provided on a working day on your business premises and consumed by current employees. The property benefit exemption is only available for employees, not associates. is not a reward for services. Say for example a company holds a Christmas lunch on its business premises on a working day. Employees, their partners and clients attend. Food and drink is provided at the party and the company provides taxi travel home from the party. The cost per head is $125. Providing a party for employees, associates and clients is entertainment, because the purpose of the function is for people attending to enjoy themselves. There can be exemptions for this, but these may vary according to the recipient. Employees: Does an exemption apply? Food and drink: The food or drink provided to employees is exempt from FBT because it is provided and consumed on a working day on the business premises. Taxi travel: The taxi travel is exempt from FBT because there is a specific FBT exemption for taxi travel provided to an employee directly to or from the workplace. Associates/clients: Does an exemption apply? Food, drink and taxi travel: The food, drink and taxi travel provided to the employees’ partners (associates) is exempt from FBT because of the minor benefits exemption. Note that the employer could not claim an income tax deduction or GST credits for the food, drink or taxi travel provided for employees, associates or clients. If other forms of transportation are provided to or from the venue, such as bus travel, then such costs will form part of the total entertainment expenditure and be subject to FBT. A minor benefit exemption for this benefit may be available if the threshold is not breached. Contact us if you would like to know more about how FBT applies to staff functions.